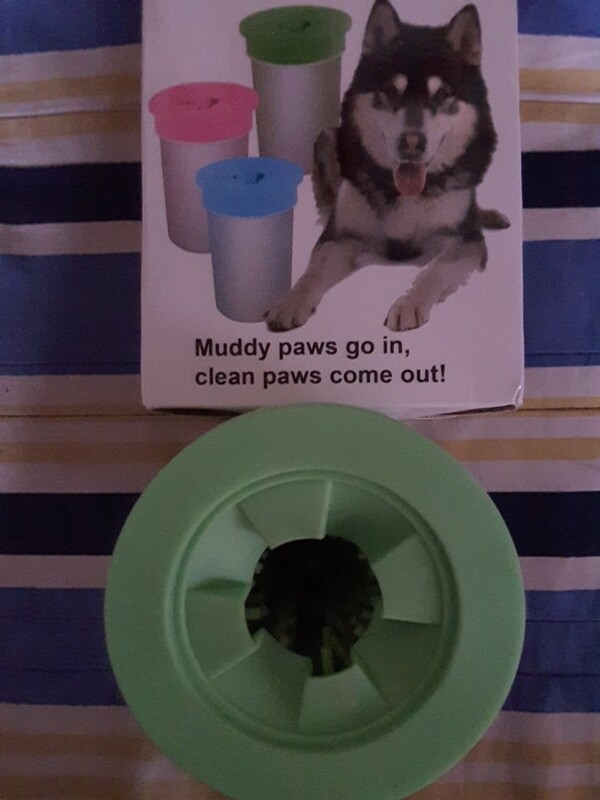 ✔️ NO MORE DIRTY PAWS - Do you like letting your dog play outside but hate when they bring the dirt in your house? The Paw Perfect Paw Washer solves the problem! 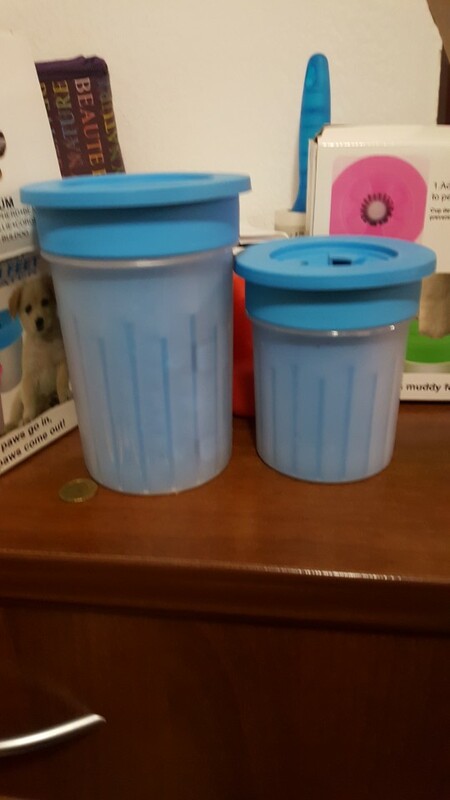 Perfect for small and medium sized dogs! 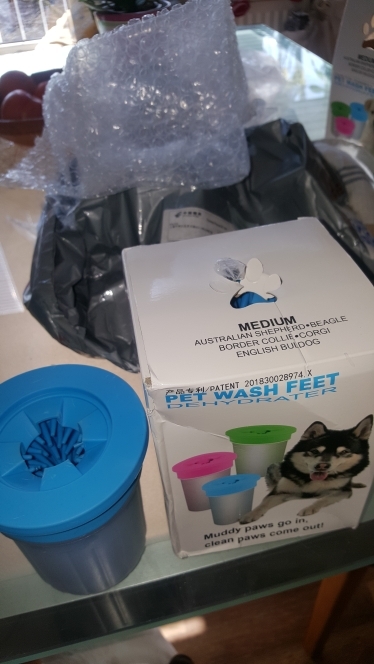 ✔️HOW TO USE - Stick pet's paws in the pet washer(one at a time), swish the water around or spin the container to engage the bristles, and then remove pet's paw.Dry the paw (if you like – this isn's always necessary) and move on to the next foot. 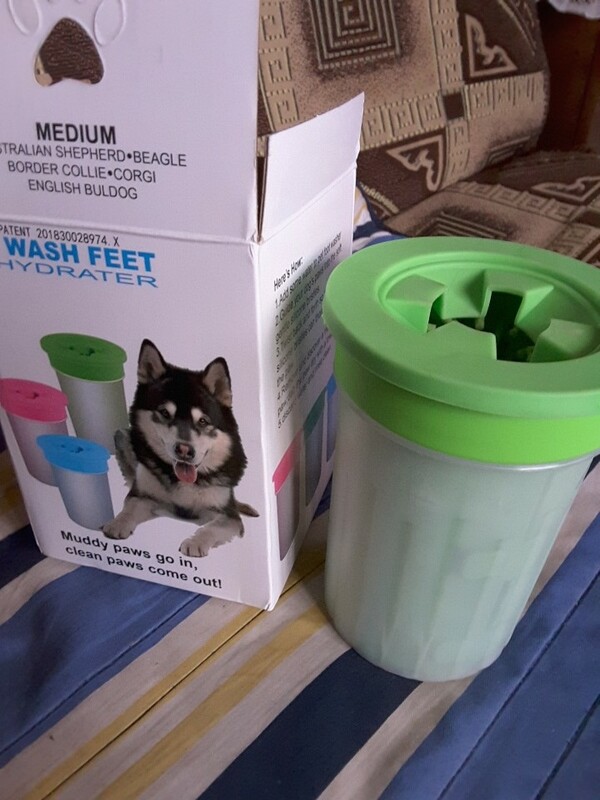 Add a bit of gentle soap to the paw washer or simply use clean water. 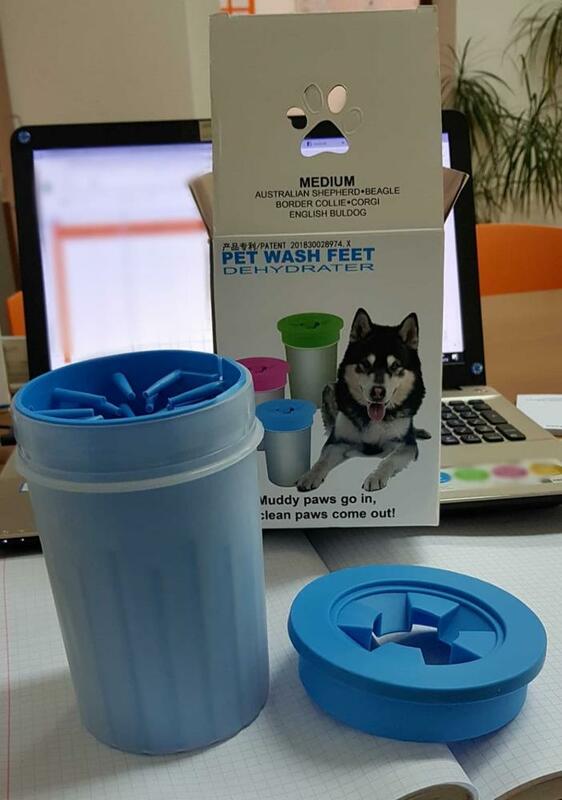 ✔️ EXTREMELY GENTLE ON YOUR PET'S PAWS - The extra soft silicone bristles won't hurt nor irritate your pup's paws. ✔️ CONVENIENT AND PRACTICAL - Small and lightweight so you can take anywhere, plus the handle strap makes it easy to hold while using. 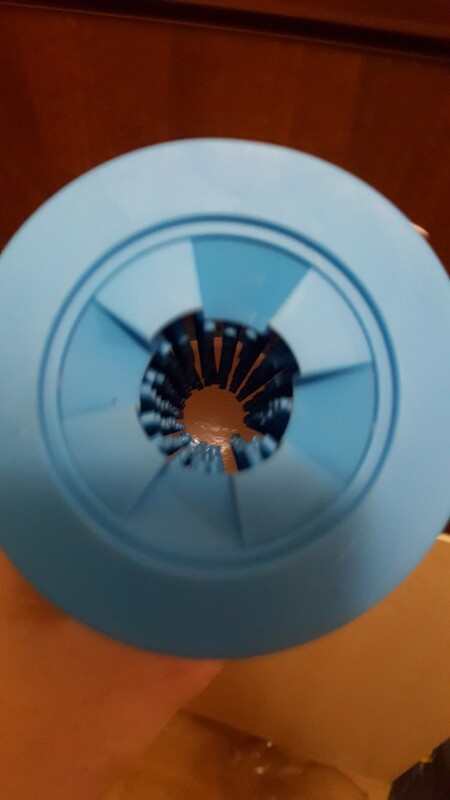 Very durable and high quality product. 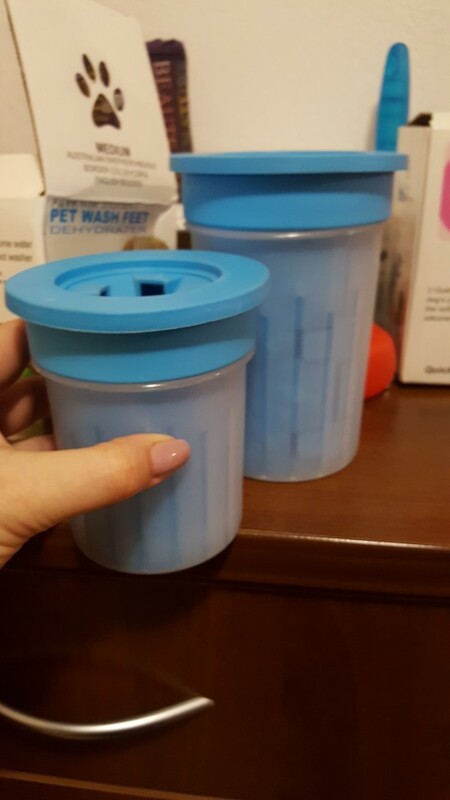 ✔️ EASY TO USE AND CLEAN - Just add water and let the Paw Washer massage your pup's paws by moving it up and down. Once done just pour out dirty water and rinse.